This profile has S P O I L E R S if you have not seen all the way through Season 3 of the original series. Other Aliases:The Boogeyman, Brain Man, Brain Eater, Gabriel Sylar, Drew O’Grady, Dr. Suresh, Zane Taylor, Isaac Mendez, Agent Andrew Hanson. 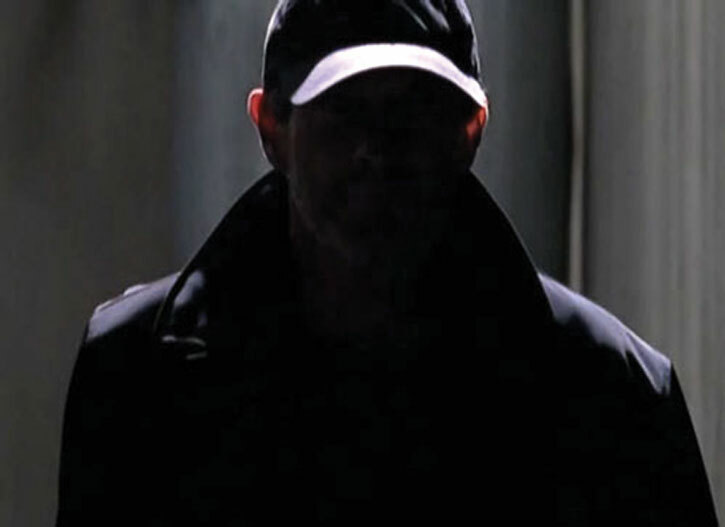 People he’s impersonated: Coroner, Emile Danko, Sandra Bennet, Steve Donner, Agent Taub, Virginia Gray, Micah “Rebel” Sanders, Nathan Petrelli, Claire Bennet, Liam Samuels, Peter Petrelli. Known Relatives: Virginia Gray (Mother, deceased), Samson Gray (Biological Father, dying of cancer), Martin Gray (Father), Unnamed mother. Base Of Operations: Mobile, originally Brooklyn, New York. Height: 6’2” Weight: 170 lbs. Sylar’s ability is the power to “see how things work” or “intuitive aptitude.” This allows him to analyze gadgets, situations and people in order to determine the cause-effect relationships at play. For game purposes, this is his powered Scientist skill. He quickly learned that he could go further and determine where “abilities” actually came from. From there he could adapt his own abilities to include those of others by removing and examining their brains (see “Eating Brains” below). By cracking or cutting his victim’s skull open, removing and examining their brain, and adapting his own DNA and/or brain functions to match, Sylar has learned to steal the powers of others. It’s also been stated multiple times in the series that he absorbs DNA in some way, but it’s never been made clear how he accomplishes that. The popular theory was (at least originally) that he ate the brains. This was apparently debunked recently when Sylar told Claire that eating brains was “disgusting”. But there are some who believe this may have been an exception since she could regenerate and that Sylar simply lied. Arthur Petrelli tells Sylar at one point that he can take powers without having to take the brains in the same way Peter can. Perhaps since Arthur can take powers away, he can also give them away? Sylar does eventually learn Elle’s ability with her teaching him. While it may seem he improved his technique at this point, he still feels the compulsion to do so. In fact, he ultimately takes Elle’s brain anyway to make that very point. In DC Heroes terms, this would probably best be handled simply as a Power Subplot showing that he has the potential to buy off this Limitation in the future. The only other instance where it’s questionable as to whether or not he takes the brain after this point is with the shape shifter James Martin. He could have removed the brain in another way (like he does with Robert Keep in the cut scenes); or due to the nature of being a shape shifter, the brain may have been moved to another part of his body. Even assuming he’s bought off the Limitation by this time, Sylar would still have the compulsion to remove and examine the brains of those whose powers he takes, thus the SIA in his game stats’ Drawbacks. Brian Davis – Telekinesis 05 – This is who he acquired his telekinetic abilities from. This was his first victim and he has since bought the telekinetic abilities outside of his Adaptation. Trevor Zeitlan – Mental Blast 05 – Also mentioned as “telekinesis,” but uses it as a direct attack. (Actually from Season 3 in a flashback to the time of Season 1). James Walker – Ice Production (requires a source for moisture): 04. Charlie Andrews – Recall: 13. Unknown victim – Suspension: 08 (can be used to fake death with the AP level being the difficulty of the check to determine if Sylar is actually dead). Zane Taylor – Melting: 04 (the ability to liquify small, inorganic objects by touch and letting them puddle up. Not terribly useful and never really used by Sylar). Dale Smither – Super Hearing: 07. Ted Sprague – Bomb: 18, Cell Rot (nuclear radiation): 05, Energy Blast: 08, EMP: 12 (all powers elementally linked). Isaac Mendez – Artist (Painting): 09, Precognition: 23, Remote Vision: 13 (Both Powers are visual only as they require user to paint a picture and then view the scene on the picture, Artist skill is considered powered and elementally linked to Precognition). In Season 2 he loses his powers due to the Shanti Virus and reacquires them at the end of the season. During this time he should be considered to have Body 05 and no Powers (nor Powered Skills). When he gets his powers back, only his initial power (intuitive aptitude) and telekinesis return. In the story this hasn’t been fully explained; but could be either because his first additional power was telekinesis, or that two victims both had variants of telekinesis. In game terms this is simply because he had eventually bought those powers outside his Adaptation. 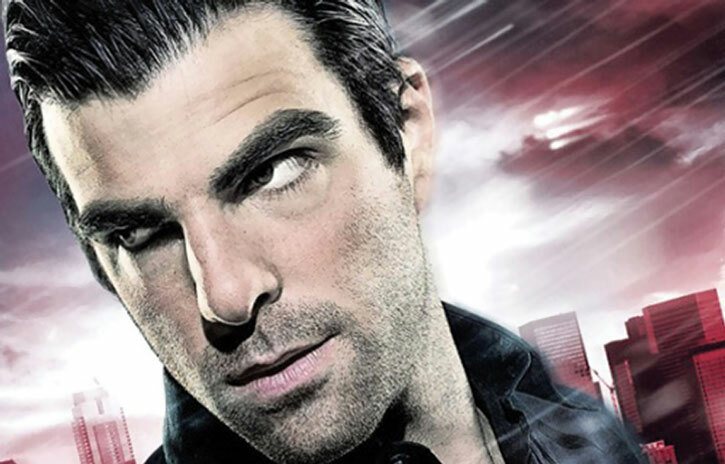 Sylar is forced to “start over” in his collection of super-human abilities. Claire Bennet – Regeneration (usable beyond death unless one spot, presumably the medulla oblongata, is obstructed): 10. Bob Bishop – Transmutation: 07. Bridget Bailey – Postcognition: 23. Jesse Murphy – Sonic Beam (requires voice): 06. Elle Bishop – Electrical Control: 07. Sue Landers – Detect (Lies): 08. Joe Macon – Forgery: 03 (Considered powered and does not require any tools such as a pen – signs papers with his mind). James Martin – Chameleon (requires DNA sample like a hair or skin cells from handshake): 09. Tom Miller – Disintegration (restricted to non-living targets): 03. Joe Macon only appears in the Graphic Novels. 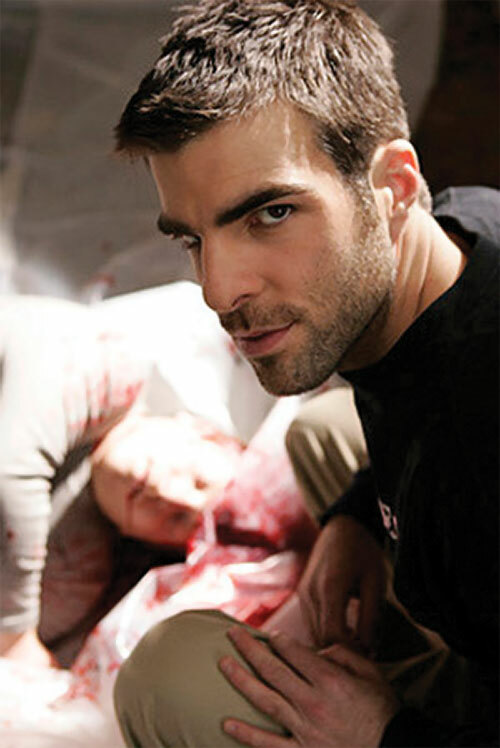 During each season there are a couple of deaths attributed to Sylar that are never seen or explained. In Season 1 Mohinder mentions that Sylar had killed 6 people on the list where the audience had only seen 3 to that point (4 if you count Trevor, but Sylar did not use the list to find him). This isn’t even mentioning that when Mohinder visited Sylar’s apartment, his map and list had many more names than Mohinder’s. For example, Claire was not on Mohinder’s list, Sylar found her based on the newspaper article about a cheerleader who saved a firefighter. 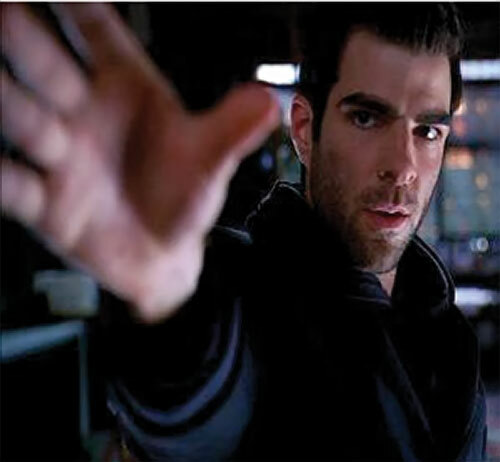 In a cut scene from the end of Season 2, Elle mentions to her father that Sylar had already acquired 4 new powers. So he almost certainly has powers that have not been actively demonstrated and/or have unknown victims from whom he has stolen powers. There may even be more deaths “off camera” where Sylar may have killed people not mentioned or known to the rest of the world. For example, he also was able to slow his heart rate to the point where the doctor believed him to be dead. This is clearly demonstrated in the show and is listed above with Season 1, but is mentioned here since it’s unclear how or where he acquired this power. With this in mind, there are some unexplained oddities in the show or instances where writers taking liberties for dramatic effect. Most of these were taken into account in giving Sylar a Body of 7 as it seems to be the simplest way to model what is seen. But you could use a Body of 5 (or maybe even 4) and use a few powers to make up for the lower Body. One such instance is when Sylar is shot several times in the chest by Matt Parkman (while trying to get Molly Walker from the FBI). We not only see the shots hit, but they temporarily knock him to the ground. Also, when Sylar is confronting Eve and she has a gun, he says, “You know that won’t work on me.” This could be simulated using a few APs of Skin Armor. When captured on separate occasions by The Company and Mohinder, they use an IV drip to try to keep him sedated and/or keep his powers from working. Both attempts evidently failed once he understood it was happening. However, when blindsided with a drug in his tea, it knocked him out. Since he stared at a cockroach in his cell, some have even speculated he learned how the cockroach can resist pesticides. This could be simulated with Systemic Antidote with a limitation that he must understand the drugs being used on him or that they must be drugs used on him before. Sylar is hit quite a few times by Niki, Peter and Hiro in the finale at Kirby Plaza. While these blows obviously damage him, he withstands most of them and even survives being stabbed through the chest. This is partially due to spending Hero Points , but Mind over Matter or Damage Capacity would likely be possible as well. There are two victims the deleted scenes on the Season 2 DVD that were originally meant to be in the latter half of Season 2 cut short due to the Writer’s Strike. While they are commonly believed to be 2 of 4 to whom Elle refers (also in the deleted scenes), they might be better used as flashback scenes to unaccounted powers from season 1. Both powers seem to fit exceedingly well to some of the things Sylar is able to accomplish. Since some powers have been duplicated in the series, it’s even possible that he targeted people with the same powers specifically because he knew how to use them. It’s up to a GM whether these “untold stories” are part of the timeline and where they might fit. Robert Keep – Skin Armor: 04. “Chameleon Girl” – Military Science (Camouflage) (powered, self only): 05. Gabriel Gray was born to a man named Samson Gray and a mysterious woman. Gabriel’s aunt, Virginia Gray wanted a baby desperately but she and her husband, a watchmaker named Martin, couldn’t conceive. Samson gave the boy to his brother to raise. While the boy was young, Martin taught Gabriel his trade, but eventually abandoned them. Virginia constantly told Gabriel how special he was and how he was destined for great things. She saw the world through her snow globes collected from all the places she wanted to visit. She obsessed over the boy and his future. Unfortunately for Gabriel, he was rather unremarkable in every way except for his skill in restoring timepieces. It seemed that with just a glance he could tell if it was fast or slow and what was wrong with it. While this made him a very good clockwork repairman, it hardly was the unique destiny that his mother has always impressed upon him. He grew up and took over the family business, Gray & Sons. Then Dr. Chandra Suresh walked into his watch shop. He told Gabriel that he believed that he might possess special abilities. Giving him a copy of his book, he asked Gabriel to come to his apartment so he can do some tests. While the tests were being conducted, he relayed to Dr. Suresh his life story and how much he’d always wanted more in his life and to be special in some way. After a short discussion, Brian Davis demonstrated telekinesis to Gabriel, and asked if he could cure it. He grabbed one of the large crystals in his shop and cracked open Brian’s skull, killing him. Gabriel thus discovered that he could see how all the pieces fit into place and could take his power from him. He discovered he had the ability to “see how things work” and this is the real reason he was so good at restoring timepieces. After “feeding” on Brian’s power, Gabriel went back to Dr. Suresh. He demonstrated his newfound telekinesis to him. Chandra referred to him as his “Patient Zero” and they began seeking others like him. However, Chandra soon realized he was killing those they encountered, and refused to help him find any others. This evidently served as a wake-up call for Gabriel. He was wracked by guilt over the despicable things he’d done, and decided to kill himself. Attempting to hang himself in his shop, a young blonde woman came in at the same time the rope broke, and she convinced him that he was actually a good person. She introduced herself as Elle Bishop. Unknown to Gabriel, Elle was actually working for a mysterious organization called “The Company.” This organization actually tracks people with special abilities, eliminating the dangerous ones. While Gabriel was exactly the sort they would normally eliminate, they wanted to know how he could transfer an ability from one person to another and sent her to spy on him. She had actually used her ability to manipulate electricity to cut the rope and save him. Elle visited Gabriel later and he told her his entire story. He decided not to kill again, and Elle, starting to develop real feelings for Gabriel, tried to convince her boss, Mr. Bennet, to move on. However, the Company had other plans. Under orders, Elle brought another person with telekinetic abilities, Trevor Zeitlan, to Gabriel for an introduction. She had him show off his ability to telekinetically “shoot” things and repeatedly called what Trevor was doing “special.” When he finally became angry, and telekinetically threw Trevor against a wall, Elle immediately regretted her actions and tried to stop him with her own powers. Feeling betrayed since Elle had not told him of her powers, Gabriel told Elle to get out and took Trevor’s power, cutting open his head. Shortly thereafter, Sylar got in a cab driven by Chandra Suresh and killed him at precisely 11:53. He shattered his Sylar brand watch in the struggle but continued to wear it as a constant reminder of who he really is, the killer Sylar. He then went on a killing spree. Gabriel tracked down those Chandra Suresh had identified, and took their abilities. While his primary focus is acquiring new powers to satisfy his hunger, Sylar also killed anyone who got in his way, leaving a trail of bodies. The FBI soon began a manhunt for the mysterious serial killer, and they only had the name Sylar to go one and the trail of corpses with missing brains. This actually pleased Sylar, as he began to delight in taunting the FBI and manipulate them. He even went into an FBI facility to try to take the powers of a young girl they had taken into protective custody. Agent Audrey Hanson, who had been assigned to his case and officer Matt Parkman managed to drive him off, even shooting him several times without effect, but were unable to capture him. Eventually, Sylar turned his sights on a very special target, who had the power to regenerate. With this power, he would be virtually immortal. He knew she was a young blonde cheerleader in Odessa, Texas. So he made his way there, collecting a power or two on the way. During Odessa’s Union High Homecoming game, he entered the school, knowing that all the cheerleaders would certainly be there. Reading a clip in the trophy case about Jackie Wilcox’s daring rescue of a man in a train wreck and being miraculously unharmed, he knew he had found his quarry. Finding her in the locker rooms, he began to cut open her head while slamming another cheerleader into the wall. Jackie managed to tell her friend, Claire, to run. Claire was heavily wounded but soon regenerated and began running. Realizing he had the wrong cheerleader, Sylar gave chase. 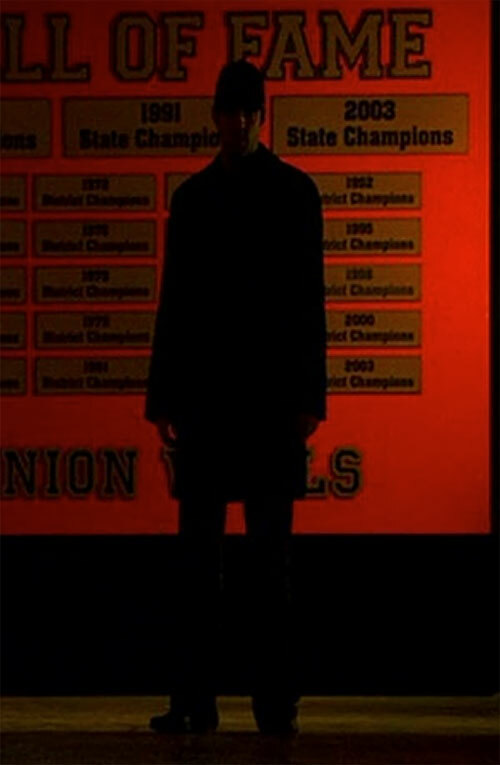 He encountered some guy in the hallway, whom he would later know as Peter Petrelli. Peter not only faced him down but managed to grab him while falling off a high set of bleachers onto the concrete below. Realizing that Claire had escaped him, for now, and being injured himself, Sylar attempted to escape. As he fled the area of the school, he climbed a hill for the tree line to avoid being seen. There he encountered a woman who told him that he didn’t want to hurt her and he should sleep. To his surprise, Sylar was unable to telekinetically push her away and found himself giving in to her suggestions. He would soon know this woman as Eden McCain, who had the ability to persuade people with the sound of her voice. She and another figure known as The Haitian, had captured him for The Company. 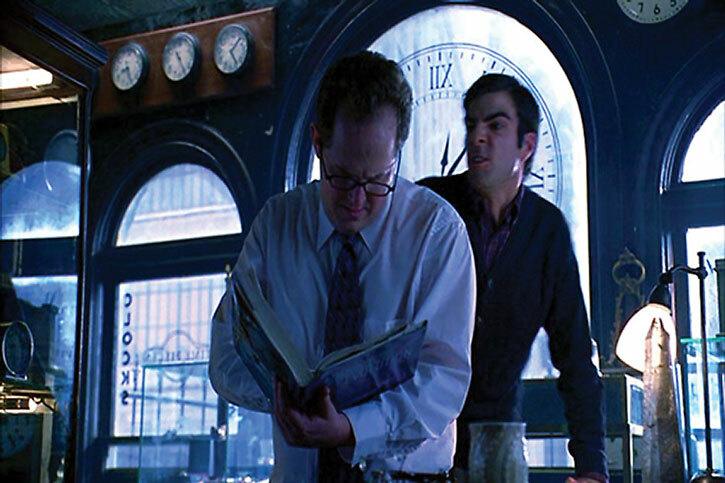 When Sylar came to, he was being held at The Company’s Primatech Paper facility headed by Mr. Bennet. Bennet told him that his abilities wouldn’t work there due to the Haitian’s abilities. By then Sylar had realized that Claire Bennet was the cheerleader and this was Mr. Bennet’s daughter. While Bennet told him that absorbing others’ abilities had driven him insane, he replied to Bennet that he was going to collect “one more ability” from his daughter. Bennet realized he was trying to get a reaction, so he called him “Gabriel” implying that he wasn’t so special, enraging Sylar. Later, Eden came to see Sylar. She had lived next door to Suresh and while orders were for him to be studied alive, she had decided he wasn’t worth the risk. She used her power of persuasion on him, to tell him to take a gun and blow his brains out, but before she could put the gun in the transfer bin, he telekinetically pulled her through the glass partition. She tried to point the gun at him but he smiled and told her that she knew that it wouldn’t hurt him. She turned gun on herself, committing suicide to keep him from getting her power. Mr. Bennet and the Haitian managed to subdue Sylar by tranquilizing him. They conducted a series of tests on him but were unable to identify any power other than telekinesis in him. Sylar’s health had deteriorated, evidently due to the experiments. 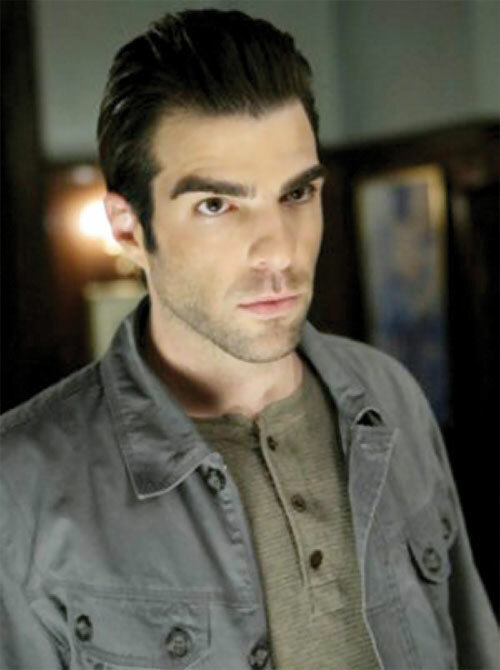 Eventually, one of the doctors found Sylar dead due to the experiments. However, when Bennet came to examine the body, he found the doctor’s body in the body bag. Sylar had somehow fooled the doctor. He ambushed Bennet and escaped, leaving Bennet trapped in his cell. Disguised as a Primatech driver, he made his way to Bennet’s own home. Still seeking Claire, he politely conversed with Bennet’s wife, Sandra. Sandra soon became suspicious since Sylar was asking an unusual number of questions about their daughter. Sylar attacked her but was forced to flee with the timely arrival of Mr. Bennet and The Haitian. Sylar decided to move on and return for Claire once Bennet was no longer expecting him. He soon found another on Suresh’s list, Zane Taylor. When he arrived, Zane mistook him for Dr. Mohinder Suresh, who was coming to see and study his ability. Sylar killed him and took his power. Mohinder was Chandra’s son and also a geneticist who had decided to continue his father’s work. When Mohinder arrived, Sylar pretended to be Zane and suggested he work with Mohinder to find the others. After helping Sylar find another person with “super hearing,” Dale Smithers and her subsequent death; Mohinder discovered Zane Taylor’s obituary in the paper. He figured out that “Zane” was actually Sylar, the man who had killed his father. 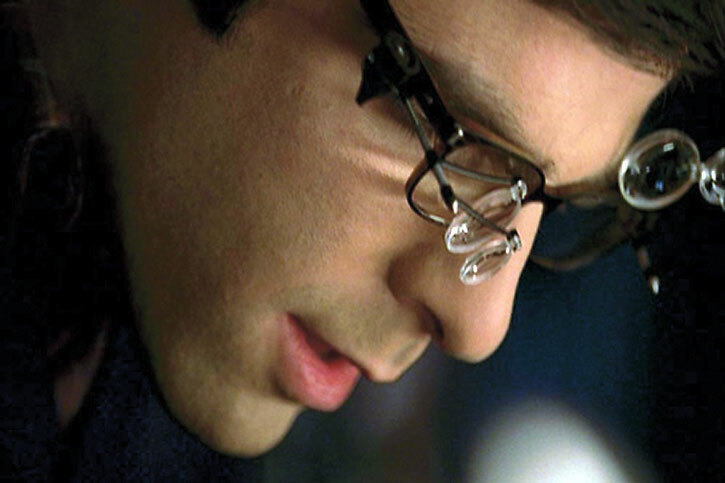 Once they returned to Mohinder’s apartment, he drugged Sylar and tortured him using a tuning fork. 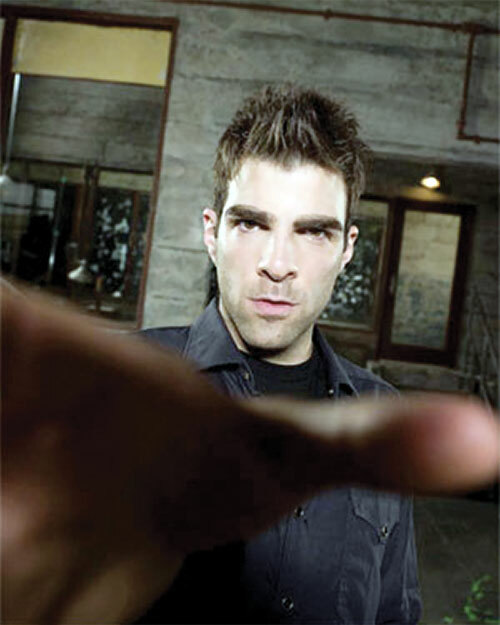 He tried to shoot Sylar, but Sylar had managed to turn off the drug drip with his telekinesis. He telekinetically stopped the bullet and broke free. Luckily for Mohinder, Peter Petrelli dropped by at this moment to talk. 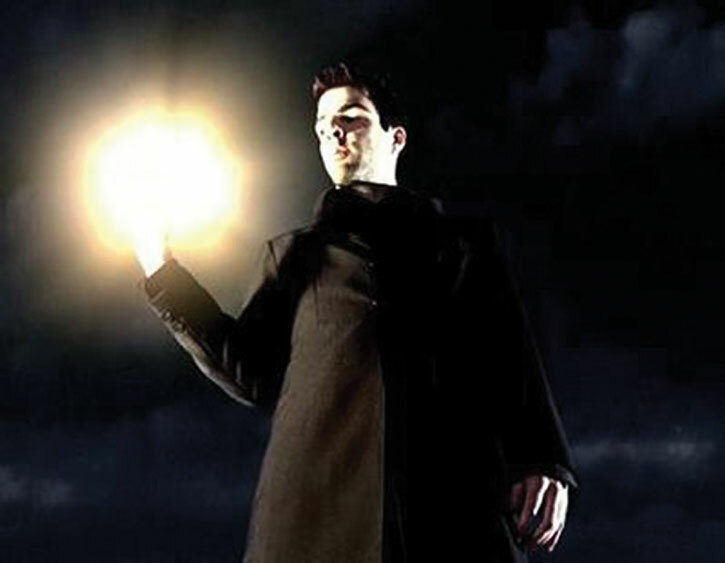 Peter and Sylar fought, revealing that Peter also has a number of abilities. Sylar managed to defeat Peter and began to cut open his skull when Mohinder hit him from behind with a board, knocking him unconscious. By the time Sylar had recovered, Peter and Mohinder had escaped and the list of people with abilities had been destroyed. Using and address from 9th Wonders, Sylar sought out Isaac Mendez and killed him, taking his ability to paint the future. 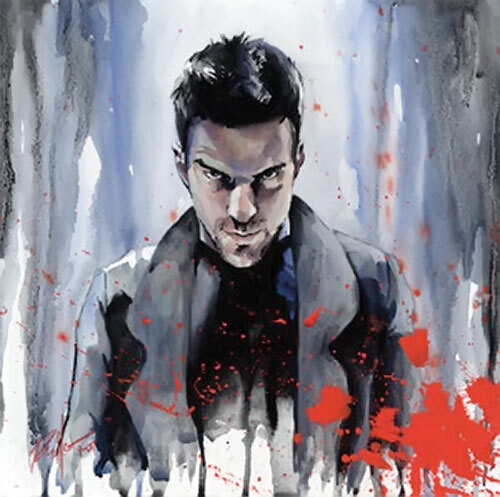 Upon painting a picture of himself in the form of Nathan Petrelli in the Oval Office and a picture of himself preparing to ambush Ted Sprague, as well as seeing all of the paintings Isaac has painted of the nuclear explosion in New York, Sylar realized he could be the exploding man in the paintings. Unsure of where all the killing was taking him, he called Suresh for help. Upon hearing Suresh dialing 911 on his cell, Sylar hung up. He decided to visit his mother, who was still living in Brooklyn. As Gabriel Gray, he talked with his mother, giving her a new snow globe and tried to convince her that it was ok for him to simply be a watchmaker. He asked her to tell him that it was ok, but she refused. She asked why she would say that when he could be so much more? He decided to show her one of his abilities and makes it snow in the apartment, much like in her snow globes. She was instead horrified and frightened, saying he wasn’t her son! He argued with her, causing her to pick up a pair of metal scissors, intending to defend herself. He tried to take them from her but accidentally stabbed during the struggle and she died. 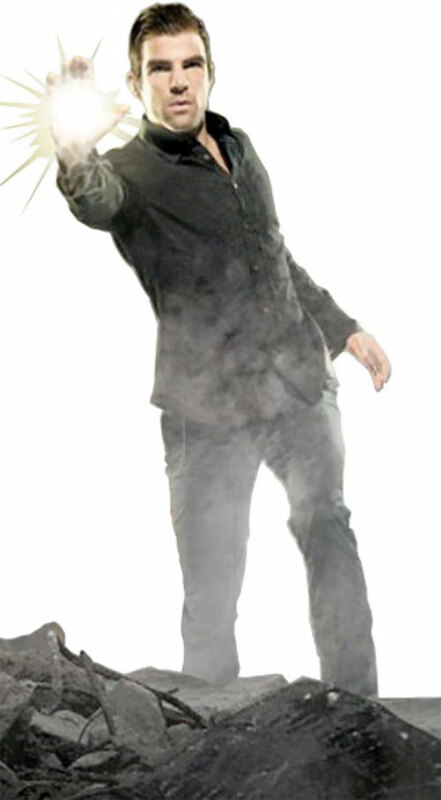 Hiro suddenly appeared (using his time travel and teleportation abilities), and attempted to kill Sylar with a katana. Sylar managed to freeze and break the weapon. Ando burst in, and while Sylar was distracted, Hiro managed to teleport the pair away. Painting the picture of the explosion on the apartment floor in his mother’s own blood, Gabriel wholeheartedly embraced his destiny as Sylar. Posing as Isaac Mendez, Sylar gave a tip to the FBI where Ted was. Sylar ambushed Ted, as predicted in his painting, by flipping the FBI armored truck that was transporting him immediately after his arrest. He killed Ted and took his radioactive explosiveness. He then returned to Isaac Mendez’s apartment. Ando arrived, intending to kill him. This time Sylar got the drop on him and pinned him to a wall. Upon looking at the copy of 9th Wonders he had, he scoffed at the idea that Hiro could kill him. Hiro appeared and Sylar challenged him to stop time before he could kill Ando. Hiro, instead, teleported them both away again. Sylar headed to the Kirby Plaza where he had painted himself facing Peter Petrelli. Deciding to face his destiny, he confronted Peter, only to find that he had plenty of allies in Matt Parkman, who shoots at Sylar, Bennet, Niki Sanders, who hits Sylar with a parking meter repeatedly, and Hiro Nakamura who stabs Sylar finally with his katana through the chest. Sylar then awakened in Mexico with a redhead who explained that she helped him escape using her illusory powers. He had several surgeries to help him survive, but that he’s lost his powers. He killed her and examined her brain but was unable to acquire her powers. He made his way back to America to New York with the help of another powered individual, Maya, who was seeking Mohinder for a cure. Unbeknownst to Maya, along the way Sylar killed her brother, who was suspicious of him. Sylar seduced Maya and taught her to control her power. He found information on The Company’s Shanti virus that takes away powers on Mohinder’s laptop. Realizing that this is what they infected him with, he forced Mohinder to agree to help him by using Molly, the young girl that Sylar had sought once being protected by the FBI, now in Mohinder’s care, as a hostage. As Mohinder was preparing to give Sylar the cure, Elle burst in and shot lightning at Sylar. 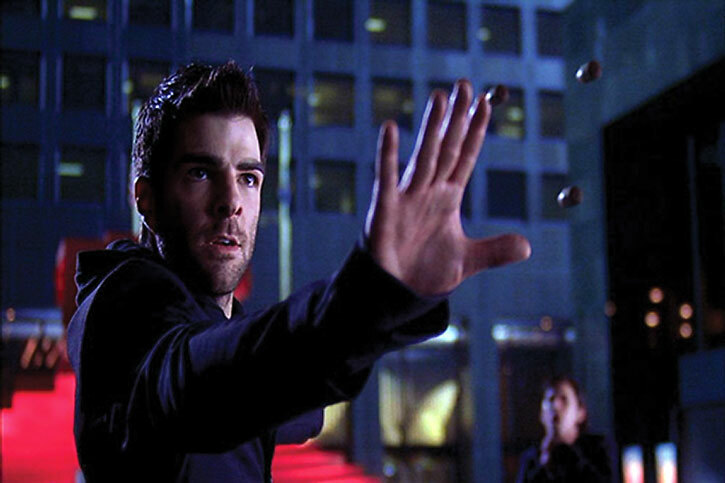 Sylar escaped with the cure and administered it to himself, restoring not only his ability to see how things work, but also his telekinesis. This seemed to be the only ability restored amongst his stolen powers. 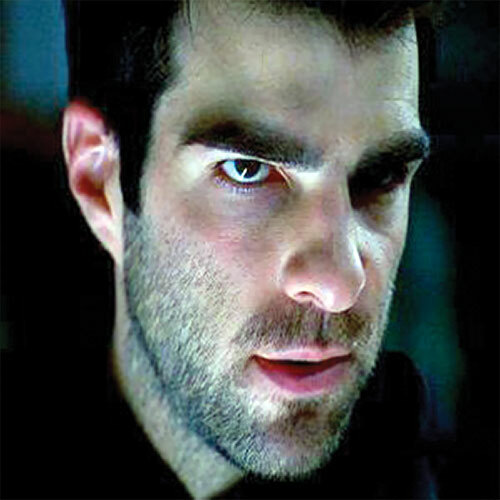 Sylar then was back at square one and needed new people whose powers he could steal. He tracked down Bennet, knowing that he would have a list from The Company. Catching Claire at home and unawares, he cut open her skull and took her powers, but claimed that she could not be killed. He somehow turned off her ability to feel pain, took the list and left. 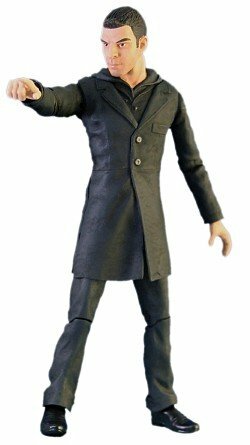 He then broke into Primatech, killed Bob Bishop (Elle’s father) and took his power. He attempted to free the prisoners on Level 5 (to take their powers) but was captured in the process by Bennet and Elle. Angela Petrelli, now in charge of the company, told Sylar that she was his real mother. 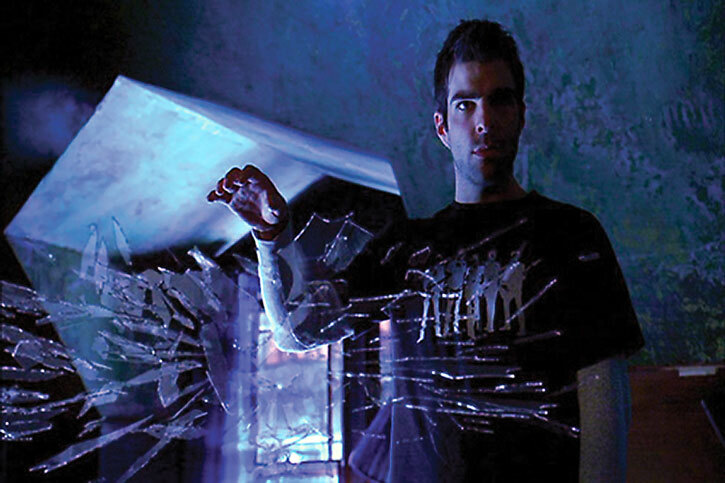 Peter showed up attacking Sylar but in the process revealed that he had seen a changed Sylar in the future. Sylar decided at that time to turn over a new leaf. 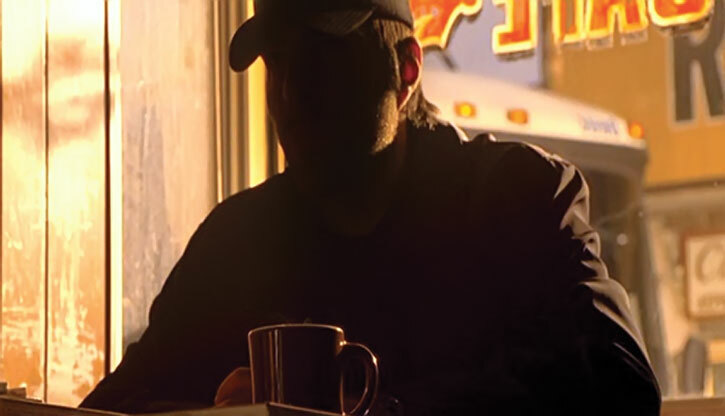 Sylar was sent on a couple of missions by The Company but believed that Angela could be lying once he was nearly recruited in Pinehurst by Arthur Petrelli. Arthur told him he could take abilities without killing and locked him in a room with Elle. Over time, and closeness, she did manage to teach her ability to him. He eventually killed and took her brain anyway, deciding that was whom he really was. He acquired the power to detect lies from Sue Landers and then went to see Arthur who was being attacked by Peter and The Haitian. Stopping the bullet fired by Peter, he asked Arthur if he was his father. While Arthur said, “yes” he could tell he was lying and killed him with the bullet, telling Peter that Peter wasn’t a killer, but he was. Returning to Primatech, Sylar ran Claire, Noah, Angela and Meredith through a gauntlet, trying to prove that they were as bad as he was. He discovered that Angela knew the truth about his parentage but Claire managed to stab him in his neck (immobilizing him) and escaped with Angela. Primatech was burning since Sylar had injected Meredith with adrenaline and she was producing flames, her ability, without control. The flames eventually melted the glass in his neck and Sylar escaped. 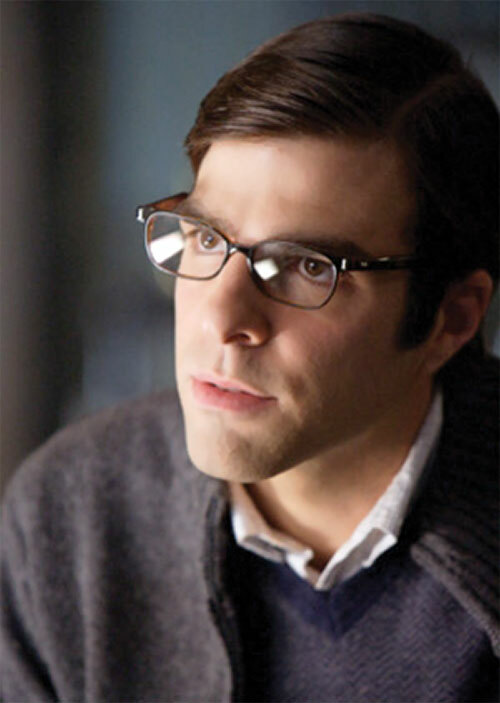 Sylar managed to track down his father, Martin who revealed that his brother, Sylar’s uncle Samson, was his biological father. Sylar then tracked down Samson with the help of another person with abilities, a teen named Luke Campbell. 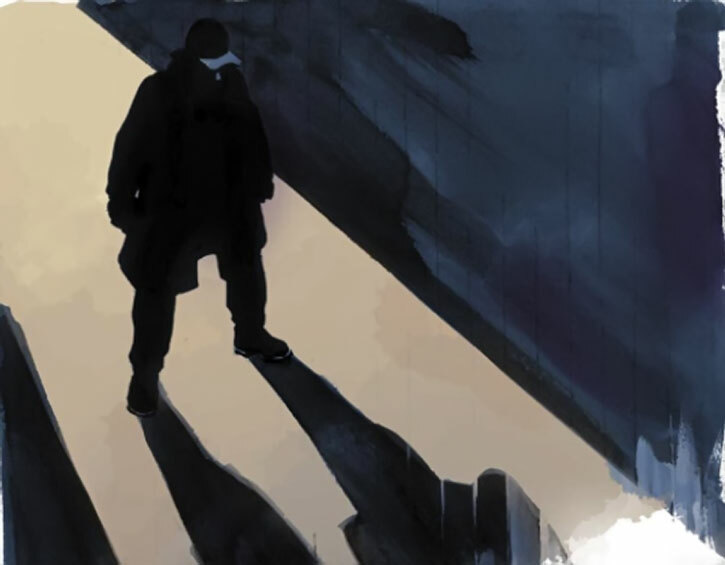 Trying to find a new purpose, Sylar made an alliance with government agent Emile Danko, offering to help him track down and eliminate all the people with powers. 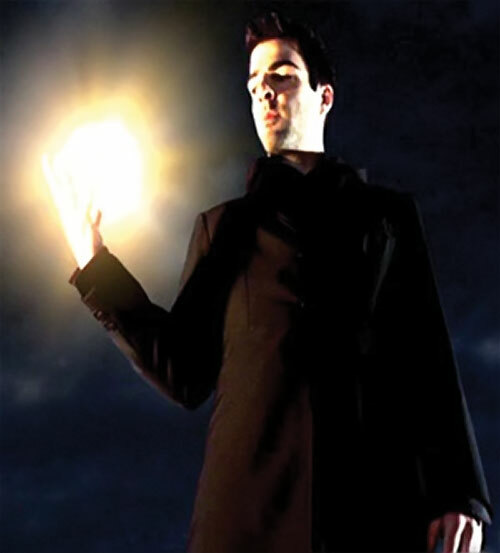 Danko helped him take the powers of a shapeshifter, allowing the body to remain in Sylar’s form to show Bennet he had killed Sylar. The shapeshifter did not have the top of the head cut off, but it’s unclear whether this was due to the shapeshifter’s abilities, if Sylar once more acquired a power without actually removing the brain, or if he had removed the brain another way. 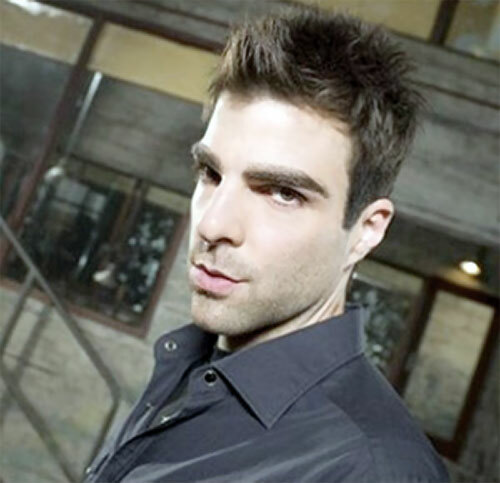 Sylar and Danko eventually betrayed one another, and Sylar attempted to isolate the president to be able to take his place, killing Nathan Petrelli and taking his form. 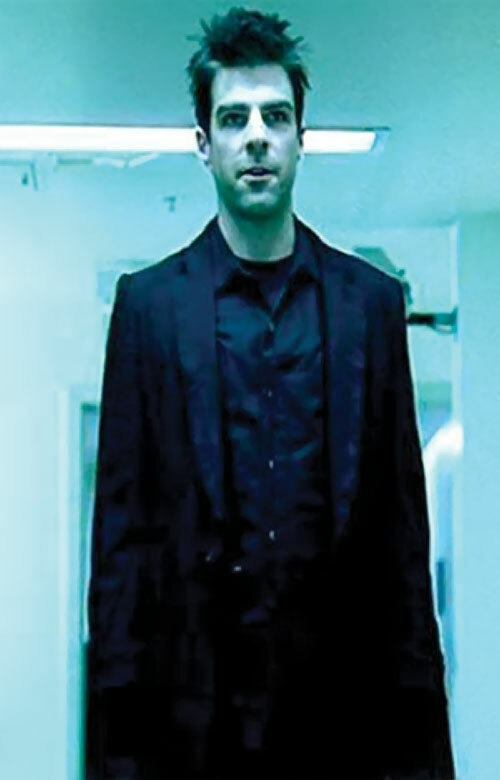 Peter had assumed the guise of the president (using Sylar’s own power to shapeshift) and drugged Sylar. Normally a nondescript young man with a heavy brow, Gabriel Gray easily blends into a crowd. Often, he will approach his victims (or even the FBI) using the name of one of his other victims to gain trust and manipulate them into showing him their powers. 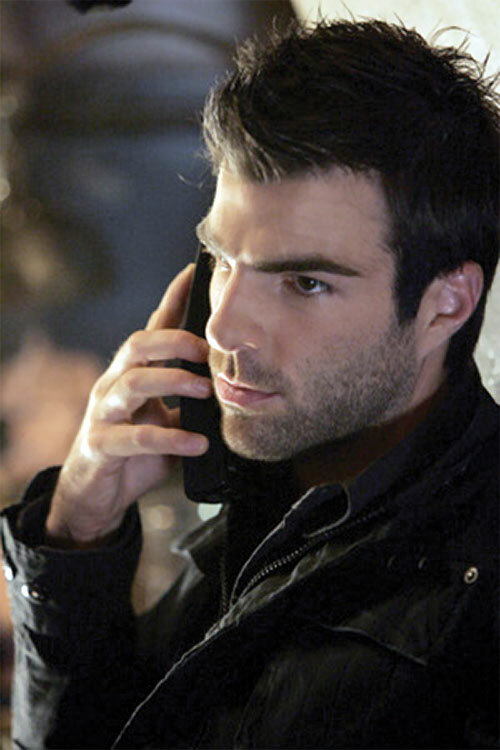 When stalking someone as Sylar, he often wears hooded jackets or sweatshirts and a long black coat. He uses this mysterious image to strike fear into his victims and taunt them. Initially, he hardly showed himself at all, sticking to the shadows. As he’s become more confident, he has become more obvious and somewhat arrogantly flaunts his powers. 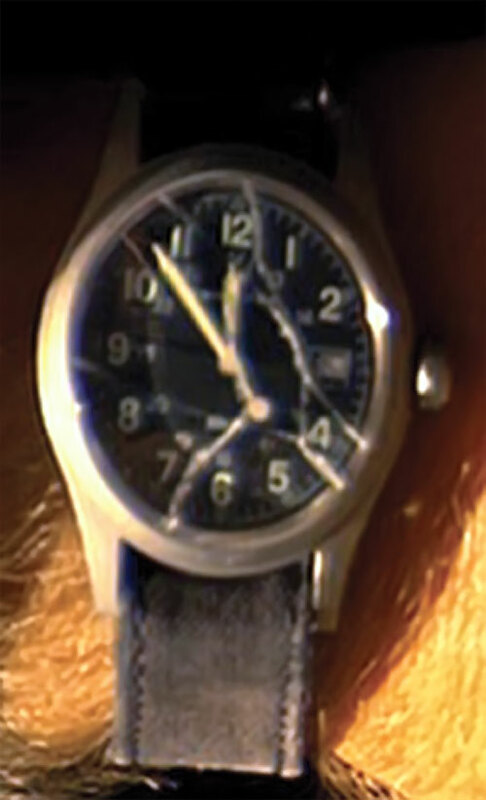 The one distinguishing item he carries with him constantly is a Sylar brand watch that was broken while he killed Chandra Suresh. Gabriel Gray’s overbearing mother pressed on him the notion that he was “special” and meant for more than his family’s middle-class existence. When he failed to live up to expectations, he fell into the family trade as a watchmaker and grew increasingly frustrated with his life. When he began manifesting abilities, he realized he could use them to fulfill his deep-seated desire to be “special” and thus prove his worth to his demanding mother. However, infusion of foreign DNA into Sylar’s genome has corrupted his mind and moral compass. He began seeing himself as vastly superior to average people, which gave him – in his mind – the moral authority to kill at will. He became sociopathic and singularly focused on gaining more abilities. If still alive with his powers intact, his desire to be increasingly “special” will surely compel him to seek out additional victims. Extreme caution must be exercised if encountering Sylar. Sylar could easily be inserted into the DCU as is. He’d make a wonderful serial killing villain, starting with lower heroes and/or villains and working his way up to the big league. It might be interesting considering his penchant for disguising himself to have him sneak into Arkham as an orderly. The Joker’s “hyper-intelligence,” Poison Ivy’s plant abilities, and Killer Croc’s strength all in one guy! Or if he allied with Lex and managed to get a little Kryptonite, “Alien DNA allows you to absorb yellow sun radiation? I’d love to see how that works…” With his ability to “see how things work,” he’d probably be able to figure out various heroes’ weaknesses and secret IDs just by studying their exploits. If you’d like to use some aspects of the Marvel Universe, have Gabriel Gray be a young mutant whose powers didn’t manifest until after Professor X located him and brought him to his school (perhaps a jealous brother of Jean Grey). Gabriel didn’t “crack” until his power’s hunger consumed him. If a young Jean Grey and Bobby Drake were his first victims, he’d start with telekinesis and ice production just like in the series. Of course, he’d ambush Wolverine every so often to try to acquire his regeneration, maybe even someday succeeding. This would lead to a similar relationship as Claire who’s vowed to spend the rest of her life trying to kill him. Adaptation need not be split up between different Powers, Skills and Attributes (hence he can have several separate abilities up to a max value equal to his APs of Adaptation each round). 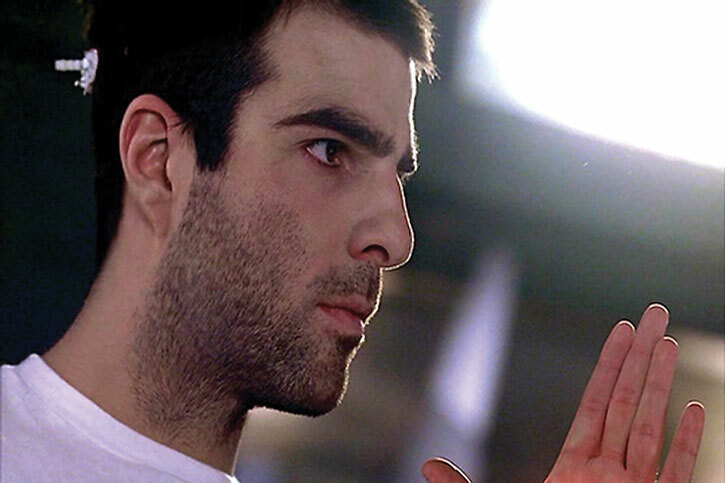 However, it is possible that Sylar can only mimic one victim’s powers at a time, besides the telekinesis that he has bought outside of his Adaptation. Final decision on use of which Adapted powers are available is up to the GM. 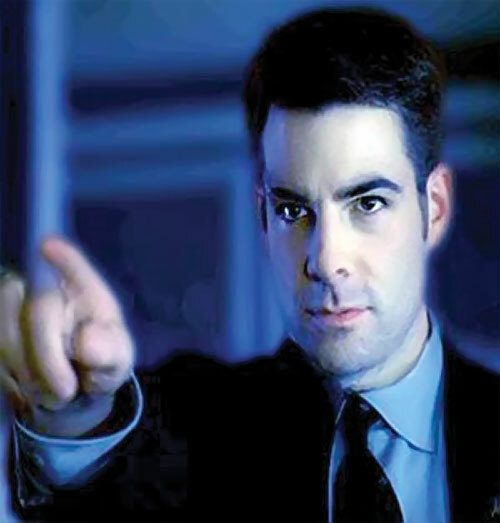 Sylar does acquire limitations on power (particularly those associated with controlling the power) as the victim originally had (even if the victim has since bought them off). Sylar may, however, use his Scientist ability to help with any necessary rolls in understanding and controlling the power, including Power Tricks. Once a power has been Adapted once, Sylar permanently has access to it through his Adaptation. 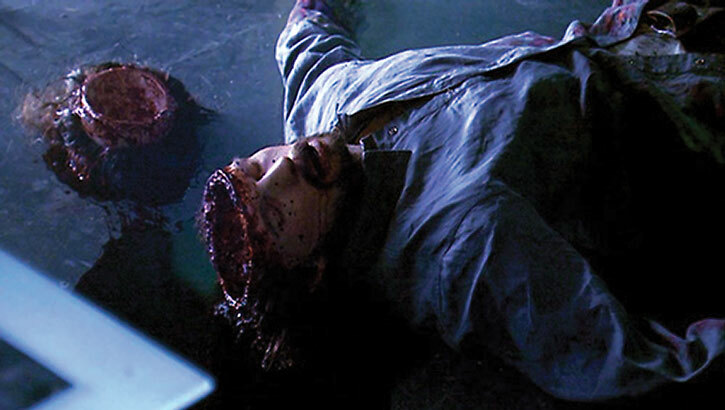 In order to Adapt a power, Sylar not only has to see the power function, he must cut open the victim’s skull and physically examine their brain (See Eating Brains, below). Reflection/Deflection and Mental Blast are contingent on Telekinesis. Reflection/Deflection requires Sylar to be able to see the oncoming attack. Scientist is a Powered skill. This is intended to represent his primary ability “to see how things work” and should be used in any rolls relating to that power. Scholar (Watches/Clockwork, Brains), Lightning Reflexes. Typically none, though he does at times disguise himself as other people to make use of their connections. Additionally, during the times he has tried to “turn over a new leaf” many of his enemies have become wary allies, but this never lasts long. 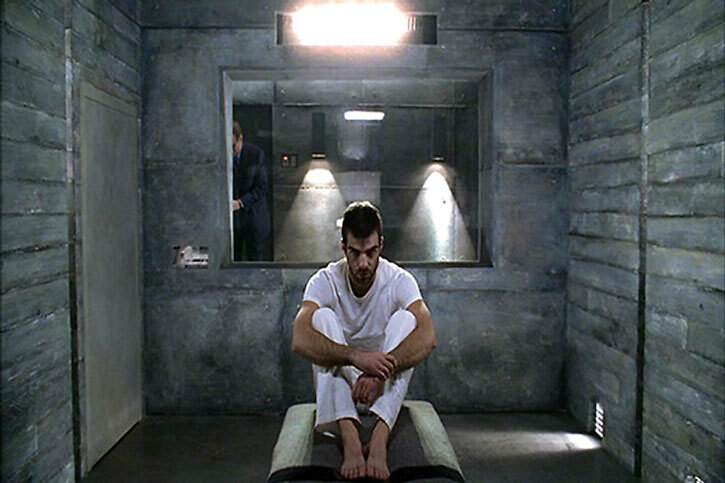 Enemy (Peter Petrelli, Mr. Bennet, Claire Bennet, Agent Hanson), MPR (Needs Glasses for reading), MPI (Sociopath), CIA towards Being “Special,” SIA towards Gaining new powers, SIA towards cutting open the heads of his powered victims to see how their brain works (see “Eating Brains” below), Mistrust. Real but moves towards Heroic as the show progresses. 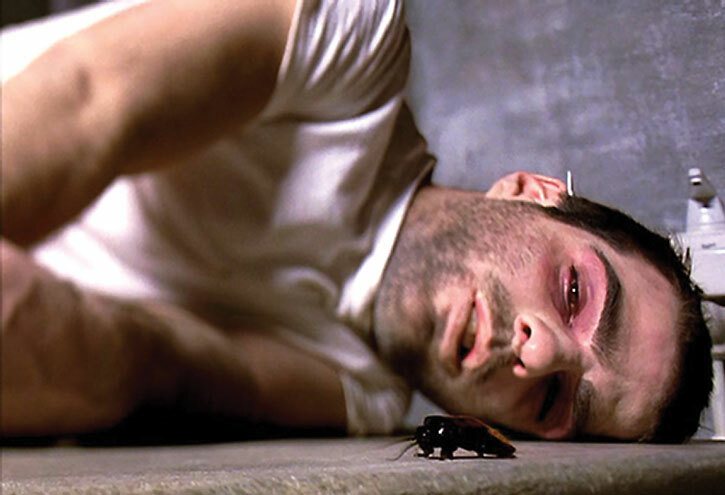 During the first season, a cockroach is often seen where Sylar is about to appear or has been. This is used primarily as foreshadowing in the story. While there’s no indication that Sylar is even consciously aware of this attraction cockroaches seem to have to him, it is something a GM should note and possibly use. 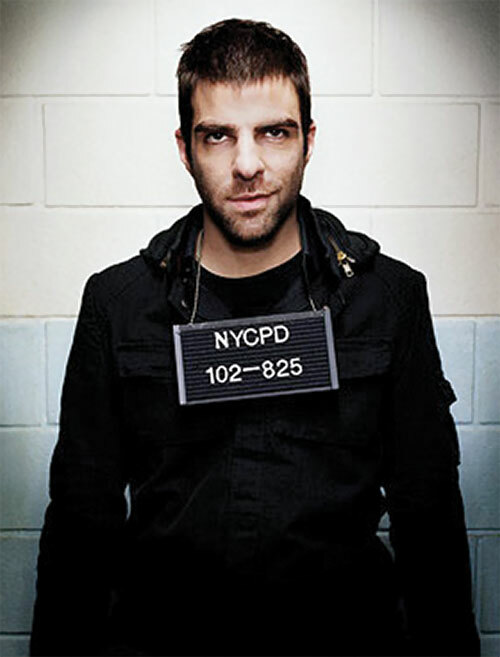 Some fans conjecture that Sylar actually learned his resistance to drugs or abilities to survive from the cockroach. In game terms Sylar must inflict enough RAPs to bring his victim to negative APs of Body. This normally kills the victim unless they have some power (Regeneration beyond death, Invulnerability) to prevent this. He then uses his ability to understand how things work (Scientist) to examine the brain (literally and figuratively) in order to determine the exact source and nature of the power. Typically, this is a relatively easy task 5/5 OV/RV (must get full RAPs), but if he were examining an alien brain structure or DNA it could be increased to 8/8. Any creature that doesn’t have a brain can not have their abilities taken in this way and if he did somehow acquire their powers, it would likely have negative repercussions for Sylar. Reflection/Deflection represents his ability to stop bullets mid-air and push them back at their attacker using his telekinesis. Mind Blast represents his ability to cut directly into someone using telekinesis. I went with Adaptation rather than Mimic with Sylar. Sylar does seem to require seeing the power demonstrated in order to Adapt it. This also plays into his overall power theme, “the ability to see how things work,” a little better than Mimic. Body and Brains: It is possible he has a more mundane Body of 4 or 5 and instead has acquired several powers “off camera” to simulate some effects. I’ll include some suggestions for this take on Sylar in a special section entitled “Other Deaths (aka Screw-Top-Skulls)” at the end of the Powers and Abilities section. However, that take on Sylar involves a lot of speculation. So I’m listing Sylar with a Body of 7 since this is the simplest way to model what is actually seen in Season 1. As mentioned in the Section on Season 02, when he loses his powers, his Body is decreased to 5. It is unclear whether his Body returns to its previous score or not in Season 3. At the time of this writing it would be safe to assume it has not and that if it does demonstrably increase by Season 4, it is likely the result of him gathering other powers either directly (acquiring someone’s power that works out to be an increase in Body), or indirectly (he may simply become naturally tougher the more powers he collects). 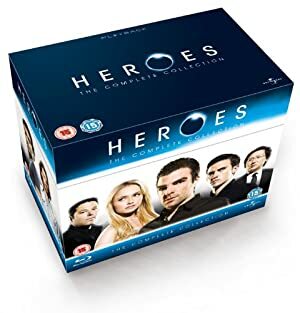 Source of Character: Heroes NBC TV show as played by Zachary Quinto.